Managing repeater and NET frequencies is a tough problem for me. 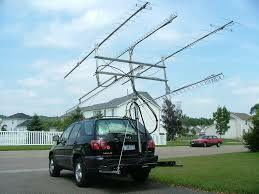 So I will start to keep my notes on frequencies, NET's and even club and Hamfest information. I will also try to update old posts with confirmations. Disclaimer: This is a work in progress! No guarantees to accuracy of information presented here, though we will try our best! Please leave your comments with confirmations and corrections. "I would like to add a full NNY Net Directory to the NNYARA web site. Please email information about your net(s) to? KC2WI (http://www.kc2wi.net/)". The North Country Group meets Sunday mornings at 8:30 AM on 3958.
and Saturday mornings at 9 AM (eastern) or the pre-net at 8:30. 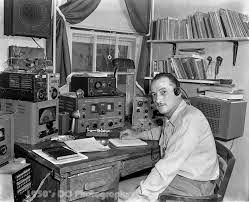 The Top Band SSB Net meets 8:30 PM Wednesdays on 1941. The Northern New York Hospital Emergency Net is held quarterly 6:15 PM the first Tuesday of January,April, July, October on the Whiteface repeater. Attention NNYARA Clubs: Please email information about your repeater(s) to? KC2WI (http://www.kc2wi.net/). Corinth 147.000 - ? ? Lake Placid 147.300 + 100 ? Malone 147.090 + ? ? North Creek (Gore) 147.135 + 123 ? Potsdam 147.390 - 151.4 ? Saranac Lake 147.030 + 100 ? Tupper Lake 147.330 + 100 ? I can't vouch for the accuracy, but this is a list that was forarded to me by a local ham. 146.520 S none NATIONAL Call Freq. 446.000 S none NATIONAL Call Freq. “These are inputs that I(?) have confirmed. But please note, PLs do change from time to time and some of this information may need to be updated this Spring/Summer”. “Here is a list of radio unit numbers that I (who?) have been able to put together, This list is not complete and may contain several mistakes. I am looking for any input to complete this list”.